While on the campaign trail, Donald Trump took a bold stance against the estimated 11 million undocumented immigrants in the U.S., pledging mass deportations and a wall along the southern border. The president-elect's pledges were both ambitious and short on specifics. Early into his campaign, Trump proposed immigration laws that would require a system to verify workers' legal status, ending "sanctuary cities" and creating a tracking system for those who overstay their visas, just to name a few. How such plans would effectively be implemented and at what cost to taxpayers remains a matter of much contention. Meanwhile, Trump might be addressing an issue that may not even be a serious problem. The number of Mexicans crossing the southwest border has plummeted over the past decade, while more are returning home than entering. In September, a Wall Street Journal/NBC News poll showed that 54 percent of Americans said immigration helps the U.S. more than it hurts it. In 2015, Frank Sharry, executive director of pro-immigration group America's Voice, told CNN that Trump's plans are "as unpopular as they are unworkable, and thus will never happen," while Stephen W. Yale-Loehr, professor of immigration law practice at Cornell Law School, said that "some actions, like reversing President Obama’s immigration executive actions, can be done unilaterally." Trump recently said he can "wait about a year and a half until we finish our negotiations with Mexico, which we'll start immediately after we get to office," on building a wall along the southern border. But it might be a much longer wait than 18 months. Trump's plans for a "big, beautiful, powerful wall" and for Mexico to pay for it appeared improbable from the moment he proposed it and there hasn't been any budging by the Mexican government. However, Republican leaders have recently taken into account a 2006 law signed by George W. Bush that authorized construction of more than 700 miles of a “physical barrier” along the U.S.-Mexico border, though the full border extends 1,954 miles. There may still be considerable resistance from both sides of the political aisle when a bill hits Congress. Republican leaders intent on reducing government are expected to reject major spending projects, especially one that could cost upwards of $14 billion. Democrats have pushed for a stronger path to citizenship for undocumented immigrants and have already made their opinions firmly known that they will vote against a wall. Should Republicans decide to back Trump's wall proposal and accept the hefty costs, Democrats will almost certainly attempt to shut down the government. Yet, it remains possible Trump would be willing to accept a compromise. He backpedaled on the wall in a post-election interview with "60 Minutes," saying there could be fences in some parts. "Congress won't fund the kind of wall Trump promised, and Mexico won't pay for it. But to save face, President Trump and congressional leaders will likely agree to a modest extension of the existing border fence," Steve Legomsky, professor emeritus and immigration law expert at Washington University School of Law, told Reuters in November. Trump, who has stated he wants to triple the number of Immigration and Customs Enforcement (ICE) agents, has proposed the deportation of 2 million to 3 million undocumented immigrants that have criminal records. But such a move would require Congress to approve $5.4 billion to $10.8 billion over five years while the ICE budget is already $6 billion per year. And Congress would have to approve a lot more spending than that. 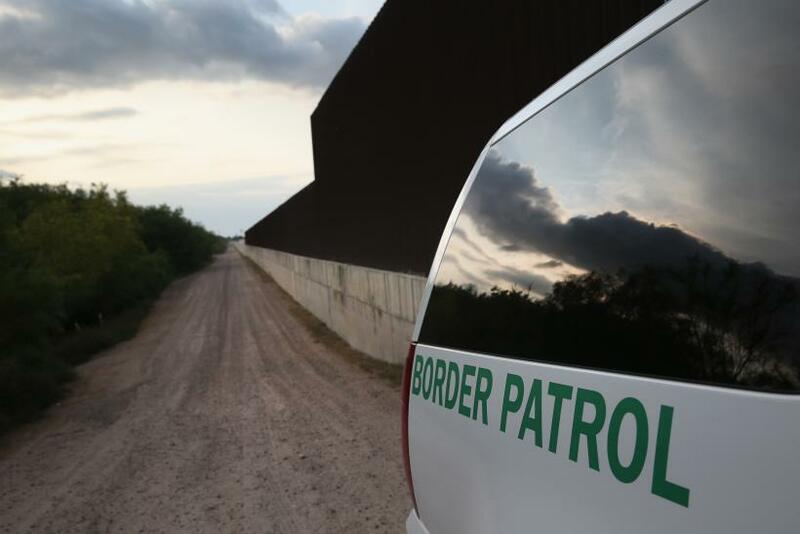 The U.S. already spends roughly $16 billion in total on immigration enforcement but expect that amount to surge if Trump's plans go through, according to estimates compiled in September by the Washington Post. Trump's deportation plans would mean $14.4 billion over five years for "catch and release," a plan that means detaining any arrested undocumented immigrant until they are deported. Trump would also tack on at least $6 billion for a biometric entry-exit visa tracking system, which means fingerprints or retinal scans to identify undocumented immigrants. Added to that would be billions more needed to pay for border patrol agents and other proposals. When taking into account the wall, Congress would have to approve more than $50 billion in spending to implement Trump's immigration plans. Trump also hasn't explained how exactly other nations would accept criminals and other undocumented immigrants. Statutes dictate the rules on who can or can't immigrate. "The basic rules for getting a green card will remain in place unless and until Congress agrees to change them," Allan Wernick, an attorney and director of the City University of New York's Citizenship Now project, wrote in the New York Daily News on Monday. It remains unclear how broad Trump's plans are for limiting legal immigrants, but if he sticks to his campaign promises the number of legal immigrants is expected to decrease while he is in office. Trump can at least attempt to significantly cut the number of green cards issued to legal immigrants and has stated that he wants "to keep legal immigration levels, measured by population share, within historical norms." However, he has not clarified his definition of “historical norms." More importantly, he has also called for what he described as "immigration moderation." In August, Trump used the phrase "extreme vetting" for those seeking to immigrate or visit the U.S. and has called for a temporary ban on all Muslims entering the country. Trump can follow through on his promises by asserting powers under the United States Code and the Immigration and Nationality Act of 1952. And his nominee for attorney general, Jeff Sessions, is a staunchly against legal immigration. In short, Trump is expected to have a highly selective legal immigration policy.